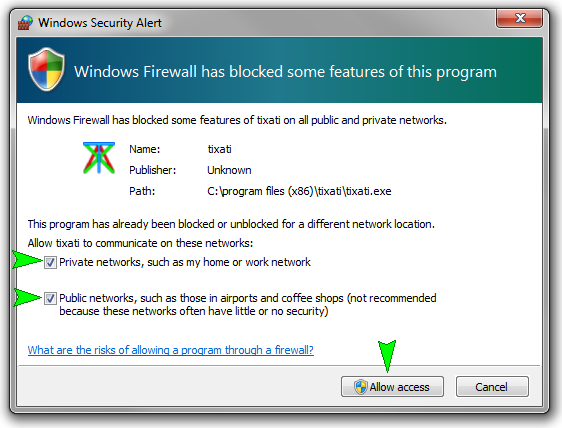 If you check both boxes indicated by the green arrows and click the 'Allow access' button, an exception in the firewall is created and nothing else needs to be done for Tixati to receive incoming connections and messages through the firewall. However, you may still have a broadband router that is blocking incoming connections and messages. More information on dealing with broadband routers can be found in the Broadband Router Port Forwarding Guide. 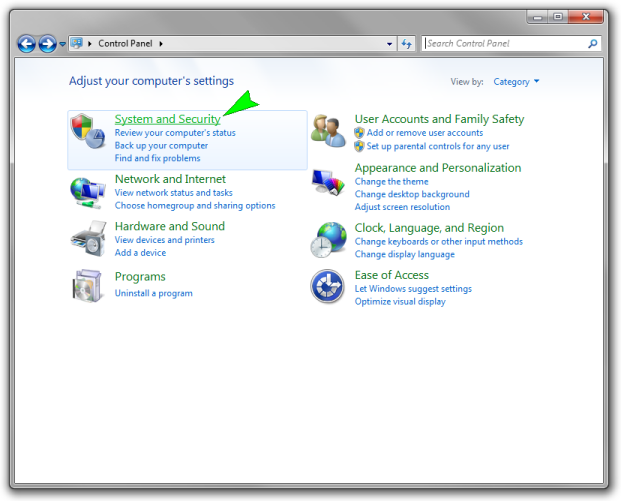 If you accidentally clicked the 'Cancel' button, you will need to use the Windows Control Panel to create an exception in the Windows Firewall by following a few simple steps. 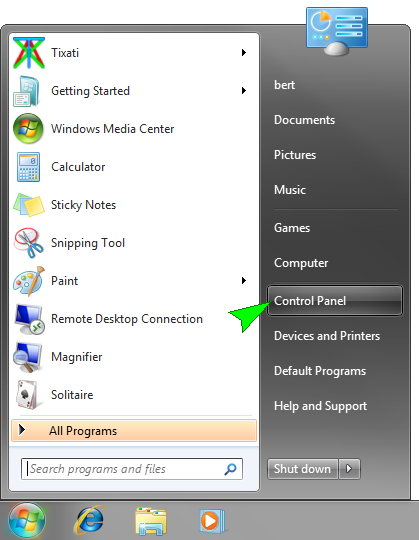 First, click the 'Change settings' button in the top-right area of the window. 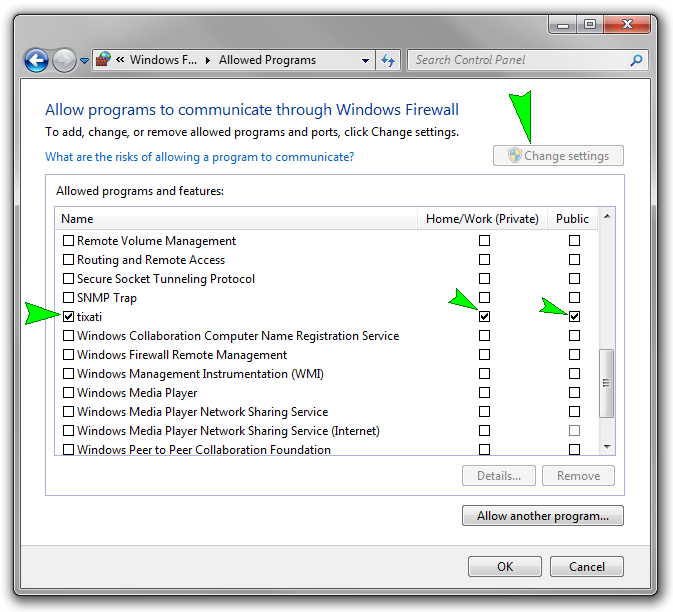 Then find Tixati in the list of programs, and check all check-boxes on that line, as shown by the green arrows. Then click OK. 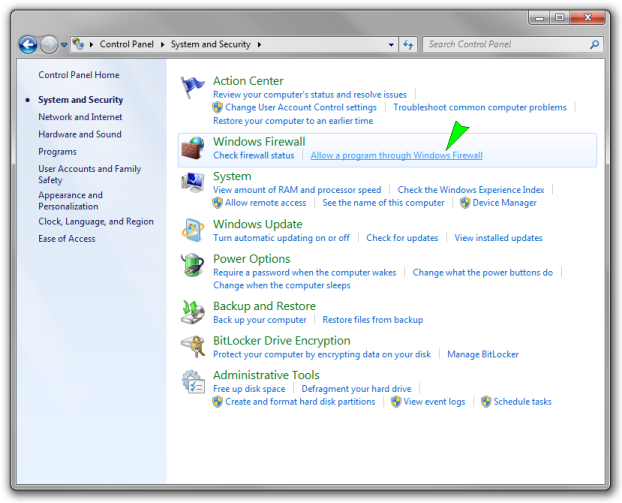 The Windows Firewall will now allow incoming connections and messages for Tixati. If you have a broadband router that may be blocking incoming connections and messages, please continue to the Broadband Router Port Forwarding Guide, otherwise return to the Tixati Optimizing Guide.